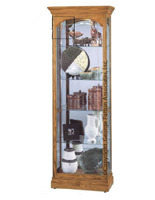 This curio wall case is a great way to showcase treasures or other collectibles. 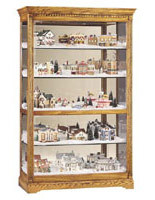 It is versatile, able to be hung on a wall or proudly displayed on a mantel or countertop. 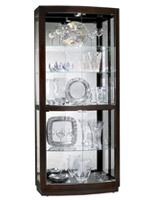 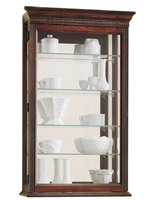 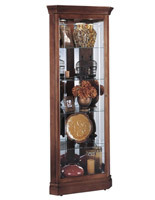 The curio wall case, also known simply as a curio cabinet, is crafted by the masters at Howard Miller Company. 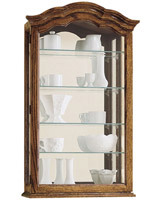 Howard Miller's name stands for unsurpassed quality along with superior craftsmanship. 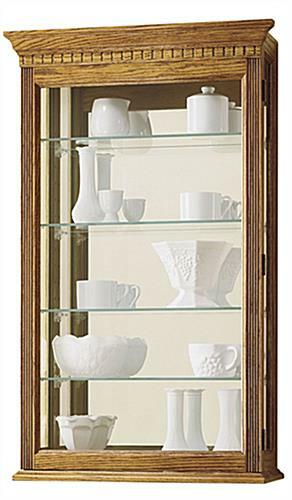 This curio wall case is sure to last for decades and decades, being passed down through generations as a family heirloom.